New Design Navigation system, all in one. Item's color might be different from the picture because of the aberration. 1.Take out your stock license plate light at the back of your car. 2.Fix the camera to where the stock license plate light was. 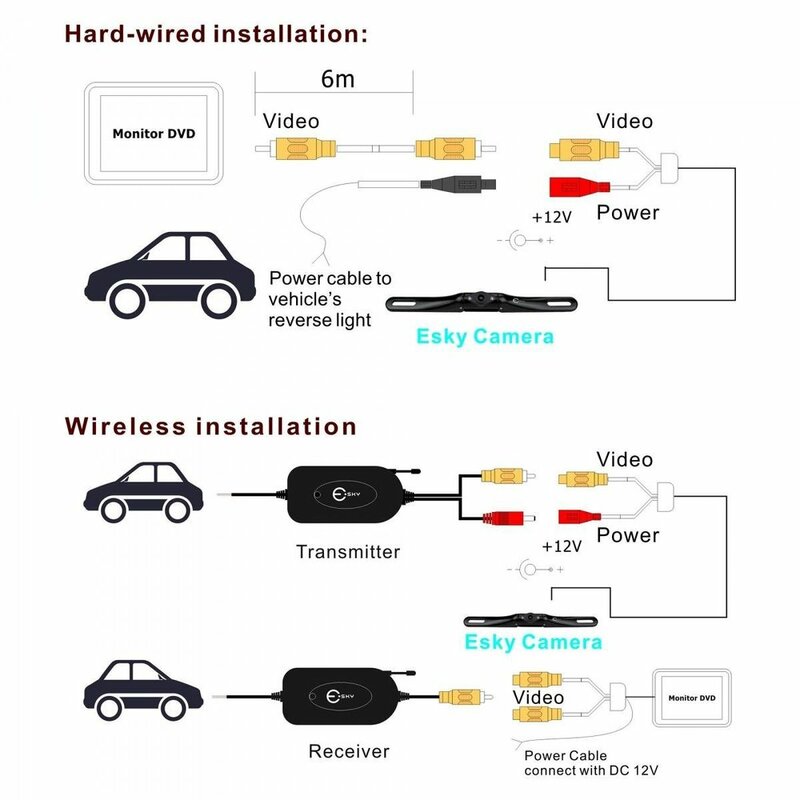 3.Connect the built-in license plate light of the camera to Br> where the stock license plate light was connected to get the power. positive and black wire for negative. monitor - yellow RCA plug for AV input. This set is not suit for bus or truck. And this module is for in-car monitor or DVD,not for GPS. Copyright © 2019 Mymobilevision.com 1-866-288-2695 All rights reserved.